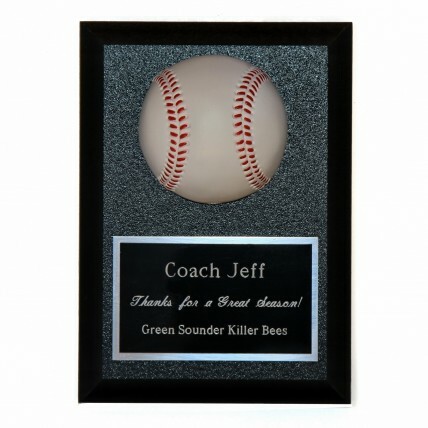 The magnificent 3-D Baseball Award Plaque will look fantastic hanging on your favorite coach's wall! This black plaque features a 3-D white baseball with red stitching. Your FREE custom engraving is etched onto a black plate with silver letters. Measures 7" tall by 5" wide. Makes a great baseball coaches gift!